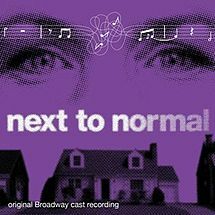 Yesterday, I had the pleasure of seeing Next to Normal. Originally, I saw this two years ago, and I fell in love with it. A community theatre near us (…not really 50 mins away, but totally worth it!) were performing it, and right away I knew I had to go. This musical is amazing. Simply amazing, and the crazy thing to me is that no one really knows about it! I will warn you it is super intense. It is about a mother and her depression. It follows her family and how it affects her daily life. It is a compelling, intense storyline that will have you crying. The first time I saw this musical I was crying for the last hour of the play. It blows my mind that people do not know this musical. Believe me, if you have a chance to watch this, please do! It will move you to tears, tug at your heart strings, and definitely make you happy for what you have.